Chesterfield Minibus Hire is a company that provides services for many different occasions. One of which is taking guests to and from funerals. 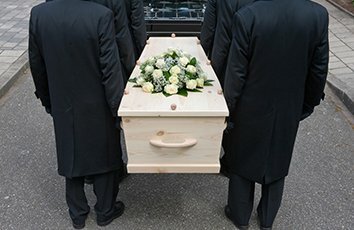 If you are thinking of arranging transport for a funeral, it's a really good idea to do so. Some guests might not feel like driving on such a sad occasion so we can help to take some of the stress away. We have a great team of staff and a respectful driver will be assigned to you. This driver will get you where you need to be in prompt timing. The driver will also pick up all passengers at a place that is convenient for them. We have a variety of vehicles to choose from, all of which have amenities to make your journey more comfortable such as air conditioning. You can get in touch with Chesterfield Minibus Hire right now for a quote. Hiring a minibus to get many of the guests to the funeral is a cost effective choice. It also helps to bring everyone together, which is really important on such a day. We have a great reputation and we are sure we can meet your needs.